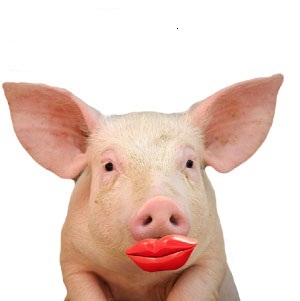 To coin a phrase, you can’t put more lipstick on the pig. That’s the metaphor for the problem faced by recruiters attempting to entice postgraduate medical students into the psychiatric profession. 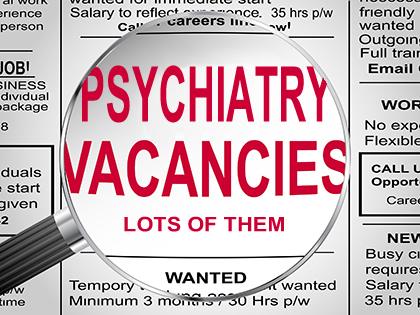 A recent report by the Royal College of Psychiatrists said one in 10 consultant psychiatrist roles is currently unfilled in NHS organisations in England and that vacancies had doubled in the past four years. Wales is also having difficulties filling posts, with vacancies of 9%, while Scotland and Northern Ireland have vacancy rates of 6% and 2% respectively. While the Royal College President Wendy Burn publicly lamented the difficulties being faced, it’s not a new problem for the psychiatric profession. Several recent presidents have tried and failed to change the public perception of psychiatry, where it’s become commonplace to hear non-psychiatrists – and frequently psychiatrists themselves – referring to psychiatrists as not being ‘proper’ doctors. In 2015, an article was published in the British Journal of Psychiatry titled ‘Psychiatry – recruitment crisis or opportunity for change? It stated psychiatry was suffering an enduring crisis in recruitment. It went on to say the profession was unique among other specialties in that it has its own ‘nemesis’ in the form of the ‘antipsychiatry movement’. When viewing the practice and the outcomes, psychiatric ‘treatments’ mask the real cause of problems in life and debilitate the individual, so denying him or her the opportunity for real recovery and hope for the future. Professor Burn expressed her concerns that those in need would be left waiting for months to see a psychiatrist. Perhaps it’s a blessing in disguise. Consider this – it’s a matter of sound medical fact that undiagnosed physical illness or injury can trigger emotional difficulties. Several studies show that those diagnosed with mental illness were actually suffering from a physical condition. It would be beneficial if Professor Burn recommended that those waiting to see a psychiatrist go and see a non-psychiatric medical practitioner to find any undiagnosed physical conditions manifesting as a so-called mental illness. Psychiatrists promote mental health as being of equal priority to physical health. To continue this analogy, just as physical health would be the outcome of effective physical healing, so would mental health have to be the outcome of effective mental healing. The harsh reality however is that the analogy breaks down when contrasting the results of physical healing to the results of what passes for mental treatment today. In simple terms, while medical cures exist, psychiatric ones don’t. Under the management of psychiatry today, there is no mental healing. Real recovery is the forte of real doctors who practice real medicine, not psychiatry. It is perhaps a validation of postgraduate medical students who are not accepting the psychiatric recruitment spin, who are thinking for themselves, and who are progressing towards medicine that adheres to the Hippocratic Oath. Posted in Latest News and tagged British Journal of Psychiatry, recruitment crisis, Royal College of Psychiatrists, Wendy Burn.